Stained, deformed, or broken teeth can hurt your self-esteem. 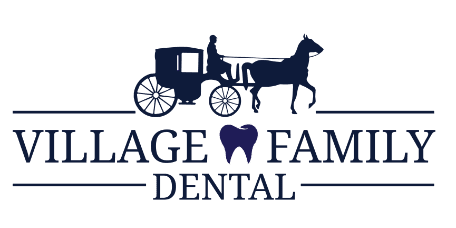 As a way to make your smile function and look better, the experienced team of dentists at Village Family Dental in Clemmons, North Carolina place porcelain veneers on your teeth to give you the beautiful smile you deserve. Call or book your consultation online today. Veneers also restore frail teeth. Although veneers can be made from resin composite materials, porcelain is the most stain-resistant option. Porcelain tends to do better at replicating the look of your natural tooth enamel as well. One of the dental team members at Village Family Dental reviews your options and helps you pick the best veneers for your unique situation. After a consultation, you’ll return for a follow-up appointment. During this time, one of the cosmetic dental experts at Village Family Dental takes off a minuscule amount of enamel from the surface of your existing teeth to shape them, in preparation for veneer placement. Once your teeth are prepped, your dentist takes a mold of your teeth and sends it to a dental lab, where technicians create custom veneers. When the veneers are finished you’ll return to the office, where they are fitted one by one over your existing teeth. To prepare your teeth for the bonding process, your dentist cleans and etches the surface of the teeth. He then uses specialized cement and a light source to bond cement securely to the porcelain. In no time at all, your veneers are securely in place and you have the beautiful smile you desire. If you want to learn more about the convenience of custom veneers to improve your smile and confidence, call Village Family Dental today or schedule a consultation using the online booking tool.